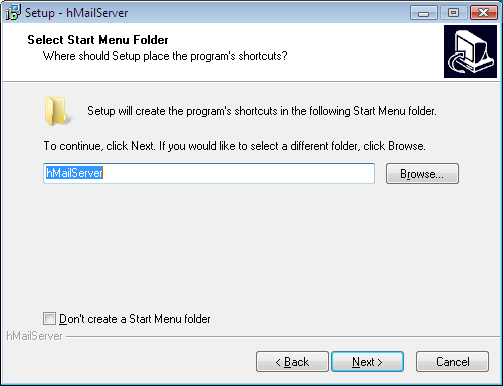 After you have finished the installation, it's time to start hMailServer Administrator (found in the start menu). 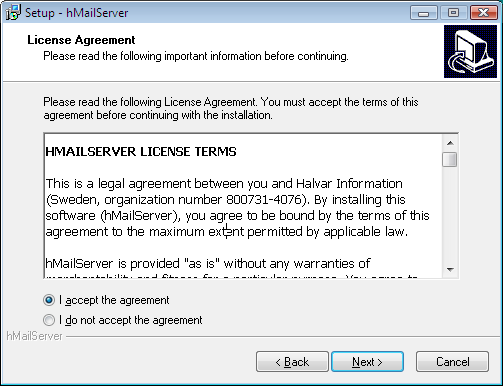 The first thing which appears is the Connect dialog. This dialog allows you to connect to different hMailServer installations in your network. Normally, you will want to connect to localhost. Select localhost, and clickConnect. In the password dialog, enter your main hMailServer password and click OK.
After installing hMailServer, make sure you configure your DNS server correctly. For SMTP to work, you must define MX records for your domain. MX stands for Mail eXchanger. 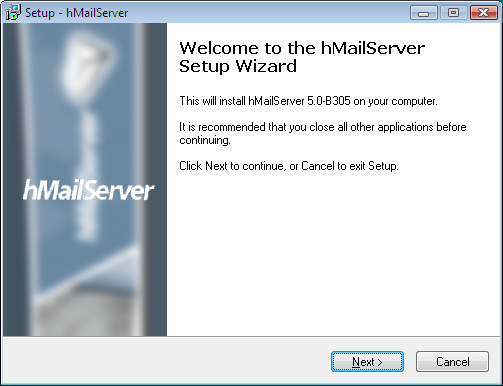 Simply put, the MX records tell other email servers what server in your domain is responsible for handling mail.